KVMGalore today announced the availability of two new ...read more. Creating the optimal video wall or digital signage display is easier than ever with the newly released SignWall-Pro from Smart-AVI. SignWall-Pro digital signage and video wall controller allows users to direct up to four HD video displays in highly customizable ways. Users can even employ multiple SignWall-Pro controller boxes to create displays that use as many as ...read more. 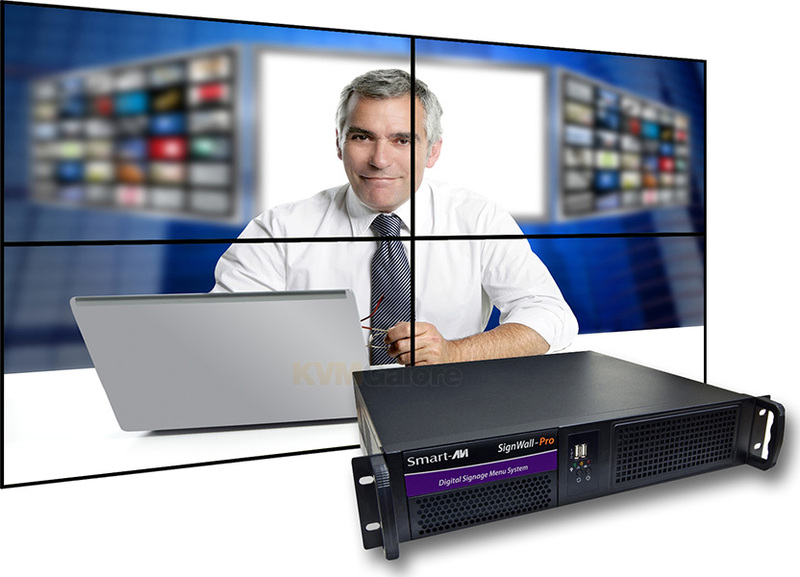 For a multitude of multiple screen applications, new SignWall-Pro is a highly customizable video wall and digital signage controller that supports live video input. Creating the optimal video wall or digital ...read more. Kramer Electronics is pleased to introduce VP-773AMP, with eight (8) inputs, including four HDMI inputs, one DisplayPort (DP) input, one composite vide ...read more.